The Nike Vapor Energy Training Backpack offers diverse storage options and comfortable carrying with multiple specialised compartments and adjustable Max Air shoulder straps. Dimensions: 52cm H x 30.5cm W x 19cm D approx. I primarily use this for my classes. My 15 laptop has no problem fitting in its compartment. I have all of my class items and have room for other things as well. Gym use? More than necessary. 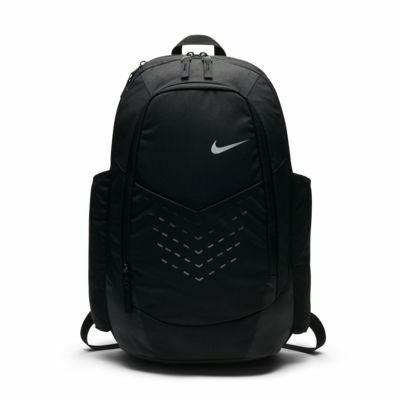 I also use this backpack for traveling, it held a pair of shoes, some clothes and my laptop with no problem. Last but not least, the air max straps feel great on my shoulders. This backpack is super freaking AMAZING. Love it.